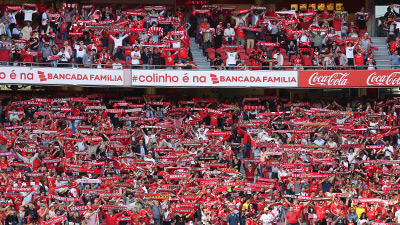 Sport Lisboa and Benfica was founded on the 28th of February 1904, with the name of Sport Lisboa. After a morning training session, in Belém’s lands, a meeting was held, in the afternoon, at the neighbor Fármacia Franco, where there were 24 people, with the ten morning participants among them. They are considered the club’s founders. The idea of creating a club had been developed during the last months, as a consequence of two groups connection which were used to practice and play at Belém: The Catataus group, the Rosa Rodrigues brothers, living in the Farmácia Franco’s building, and joined by Manuel Gourlade and Daniel dos Santos Brito, pharmacy’s employees; and the Associação do Bem, constituted by ex-”casapianos” who were together in order to play football and other stuff. On the 13th of December 1903, the Catataus group, strengthened by some of the Associação do Bem’s members, managed to get an unexpected victory (1-0) in a rematch against Pinto Basto group (later known as CIF or Internacional). During the after-match lunch, at Café do Gonçalves, the winners celebrated the triumph (against a team that was even composed by English players) and there was someone suggesting a new team creation, turning the connection effective. 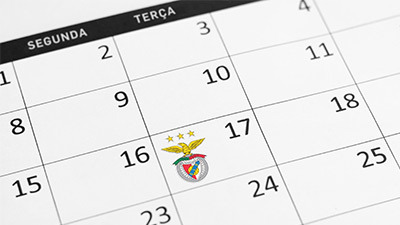 Throughout two months and a half, the idea was getting solid, the symbols were being decided (name, colours, emblem) and a meeting was scheduled for February 28 (1904) where the so called Sport Lisboa e Benfica would be born. * List attributed to Cosme Damião, published on the the book “História do Sport Lisboa e Benfica: 1904-1954”, Volume 1, of Mário de Fernando Oliveira e Carlos Rebelo da Silva. On the 28th of February morning, a training session took place, between 11am and 12.30 pm, at the CP lands, between the Cais do Sodré-Cascais railway line and the Duque de Loulé’s beach house backside, where Centro Cultural de Belém is now situated. These are the ten participants: António Rosa Rodrigues, Cândido Rosa Rodrigues, José Rosa Rodrigues, Daniel Brito, Eduardo Corga, Henrique Teixeira, Carlos França, Abílio Meirelles, Amadeu Rocha e Manuel Gourlade. After the training sessions, as usually, these - and others- got together for lunch in Belém and after that they went to Farmácia Franco, number 20 (where a dependence of Caixa Geral de Depósitos is now situated) for the decision taking with the presence of other people, previously called for the meeting, and who did not participate in the training session. According to the meeting list, and in addition to the training session ten participants, these are the club’s founders: António Severino, Francisco Calisto, Francisco dos Reis Gonçalves, João Gomes, João Goulão, Joaquim Almeida, Joaquim Ribeiro, Jorge Augusto Sousa, Jorge da Costa Afra, José Linhares, Manuel França, Raul Empis, Virgílio Cunha and Cosme Damião, the one who would be most important leader during the club’s first decades. Those 24 members have chosen, among themselves, during that historic meeting, José Rosa Rodrigues as President, Daniel Brito as Secretary and Manuel Gourlade as Treasurer.